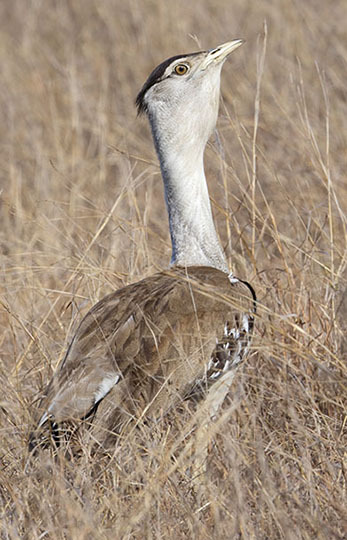 Bustards are huge but somehow elegant birds found in Eurasia, Africa, and Australia. 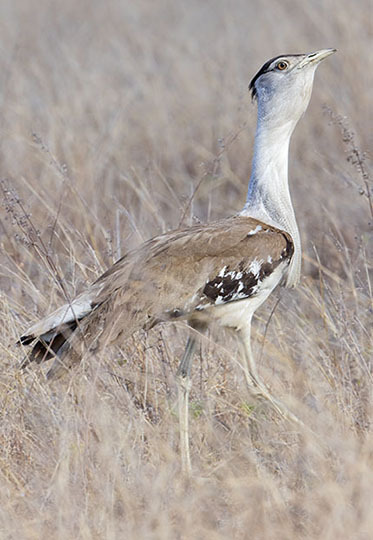 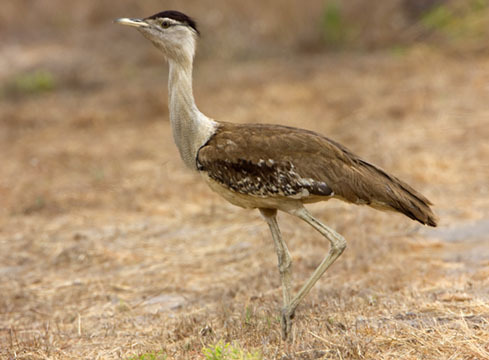 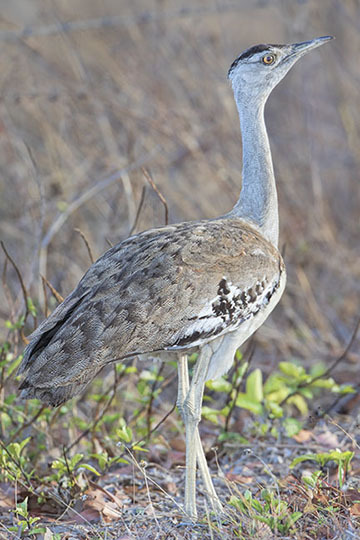 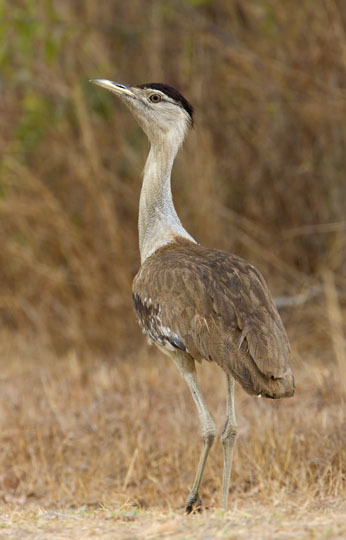 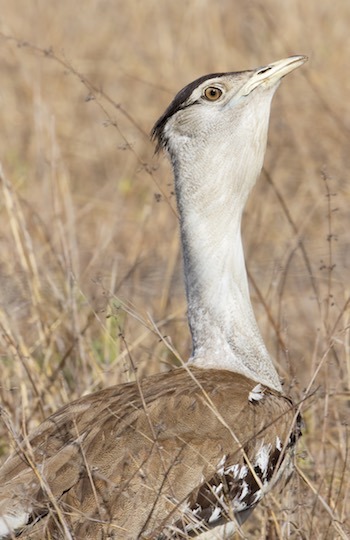 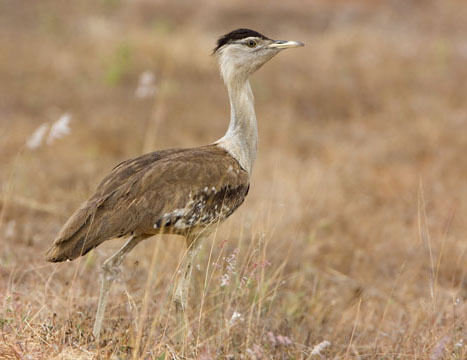 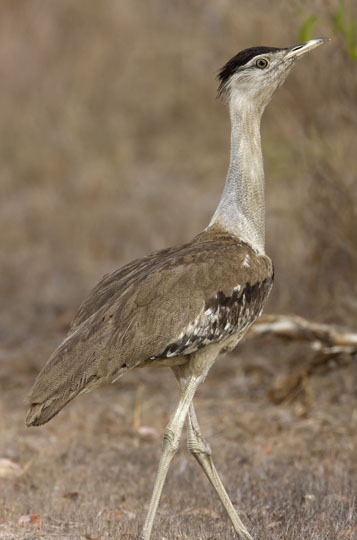 The Australian bustard is one of the largest of all. 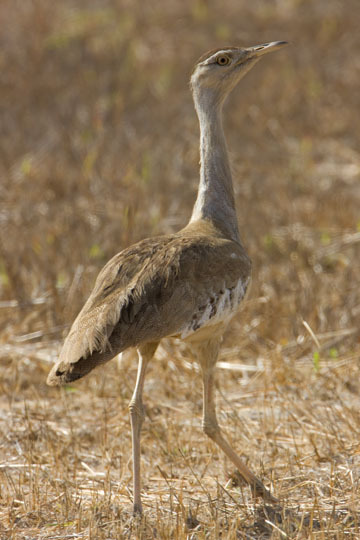 Its a resident of much of the continent, except for the wetter coastal areas, although it has suffered from human-caused declines. 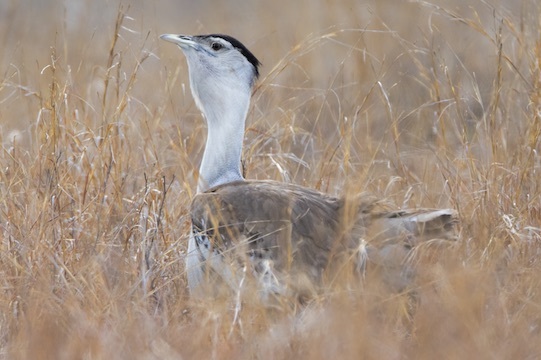 One of the Australian field guides describes them as carrying their bills 'superciliously at 45 degrees', and these birds are doing just that. 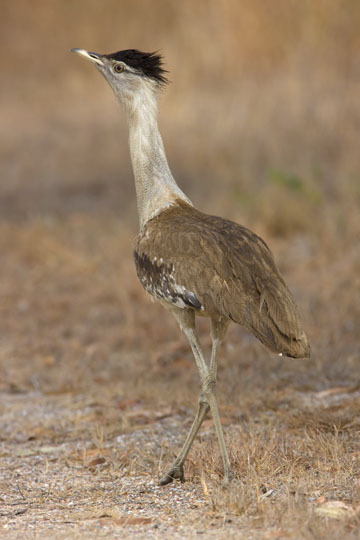 Males are bigger than females and have whiter throats. 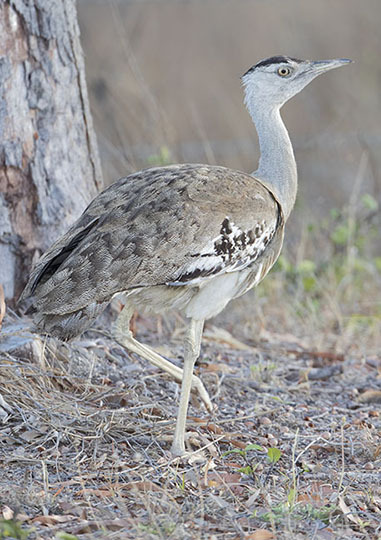 I photographed them north of Mount Molloy and near Townsville, both in North Queensland.